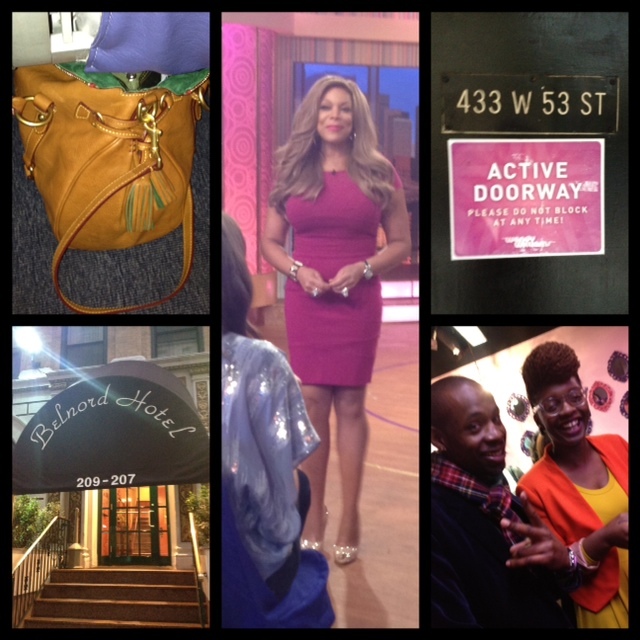 The Wendy Williams reservation arrival time said doors open at 8:00 am sharp for the Thursday, May 2nd show date. The joke was I arrived the studio at 6:15 am, after hailing a taxi from my Upper West Side hotel on a cloudy grey and slightly rainy day in the Big Apple. The Monday when I got the Wendy ticket confirmation email, I was hesitant ... what such short notice! So I spent the next few days searching for a hotel in the city which I have a known love / hate relationship with, NYC, wondering why every Manhattan hotel was basically on average above $400 US a night and unavailable that particular week end. ... And as the time dissipated on finding a hotel, I figured I might as well figure out how to commute between Newark Liberty International Airport in New Jersey and Manhattan, NYC. 'Cause, once I set my mind on something, it is going to happen. ... And out of fear, the bright idea struck that I should pack very lightly so I would not have to tote luggage behind me! 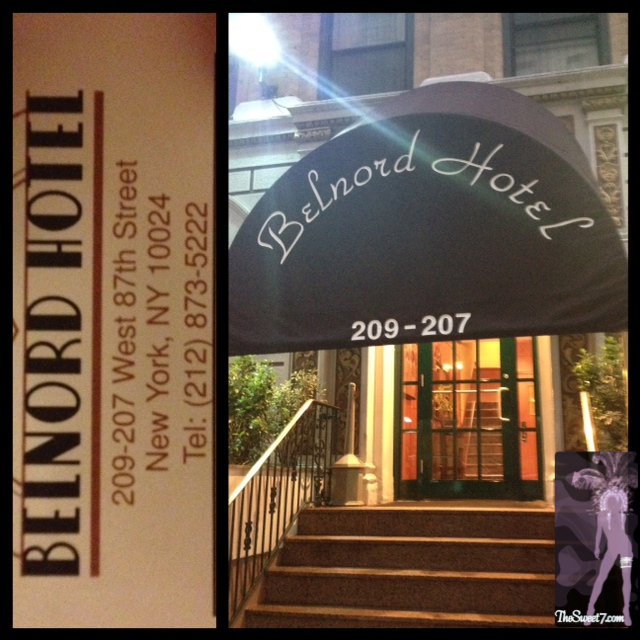 Before the blink of an eye, it was Wednesday afternoon at 2pm, I finally booked the Belnord Hotel. ... And by 8pm, after a 45 minute flight between Virginia and New Jersey, I had landed in NJ for the very first time. In full stealth mode, since I did not know what to expect during a Google map estimated 18.4 mile commute between the NJ airport and my Manhattan hotel. The only thing in tow was my one bag! Amazing, just ONE ... and SMALL bag. To give you some perspective, it fit under the plane seat in front of me. ... And since then, cause I have since gone to Miami too, I did my first Youtube tutorial on how to pack lightly. After a short 10 minute wait for the Super Shuttle driver, he had me follow him to his shuttle. A bit concerned that I was heading into a night time, chilly air - NJ airport parking lot, once he opened the door to let me in, I was greeted by 2 European women. One almost my age and another who could have been my mother, maybe a tad bit older. ... And after a drive of much conversation, I was informed that the younger was from the Netherlands and the older was from the United Kingdom. We spoke about European and American politics, dual citizenships, the Summer Olympics and the its impact on time spent in British immigration and its effect on London traffic and re-routing, the fact that Amsterdam has banned the smoking of weed in their coffee shops, famous paintings/ art and so many other things. One even said, I seemed bit of a nomad ... amused by my accent, a lil bit of this and that, fused thanks to the numerous places, I had mentioned, I had lived (which became quite apparent to me when I heard myself on my packing light Youtube tutorial. LOL!) It was during that ride, I finally got an answer as to why NYC hotels were so pricey and unavailable that weekend, due to the Frieze Art Festival. Read more about my experience and see Wendy! So the commute between NJ and NYC was not nearly as bad, as my lil' mind had set it up. Except for the maniac of a driver, I was his second stop and at that point, I prayed that he got the final passenger, the lil' white old lady safely to the doorstep of her hotel on the Upper East side. 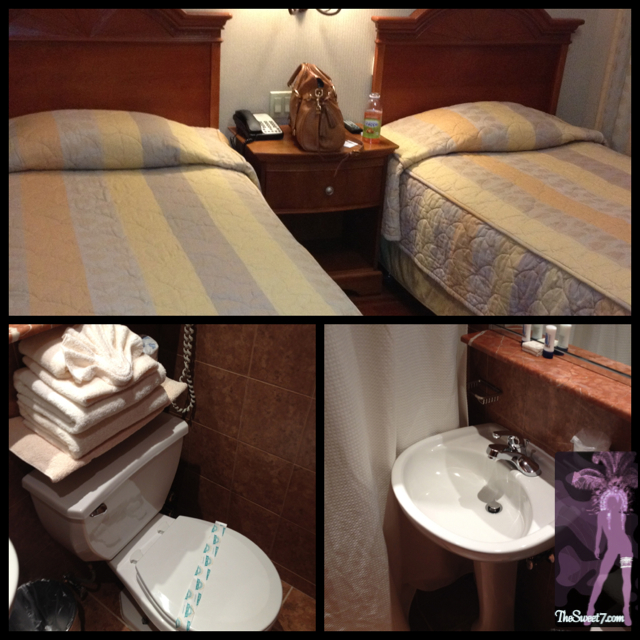 When I got to my hotel and checked in, I was rather satisfied with the appearance, the cleanliness. And it helped, that the night front desk staff were pleasant. Every thing about the hotel, was like any other major hotel, just on a smaller scale. Yes, I got a room key. Yes, there was the tourist information desk. Yes, there was an elevator. Yes, there were signs on my hotel room door as to what to do in case of an emergency. Yes, there was fresh linen and toiletry samples. Yes, there was cable tv. Speaking of which, I don't think I've ever seen so many languages on American cable such as that! So once again ... all the terrible what-ifs were sealed with a YES. So all in all ... I felt relieved and happy with my decision to book the Belnord Hotel. After much anticipation of what was ahead, I slept lightly. I woke up at about 5am and got dressed. Anxious about another day in the Big Apple which was still damp and cold. I had questions, "How do I now hail a taxi?" ... And since I had no clue the length of time, driving from my hotel to the Wendy Williams studio, in traffic would take, I set out by 6am. I don't even think NYC was awake yet! LOL! So I walked down the street, crossed the street in the direction I was heading with the only thing I travelled with, my hand bag (you know, the one which fit under the plane seat in front of me .. LOL)! Needless to say, there was no traffic and I arrived the Wendy Williams studio extremely early but not as early as the two young men waiting there before me. LOL! Amused, I teased them, and had a laugh. A good laugh, 'cause once again NYC presented me with the unexpected. It was ALL GOOD. Not long after, 20 minutes or so later, another young New Yorker chica joined us in the line. Later, joined by her Guyanese boyfriend who specifically arrived later so as not to have to get out of bed to wait in line. BTW ... I have since friend requested the couple on FB, and my gosh ... I could not have been aligned with two more interesting people! ... And as the excitement continued, the line slowly grew with Wendy fans (all ethnicities, ages, sexes, genders, handicaps and socio-economic backgrounds. I say that cause you could tell city folks from the country bumpkins. ... And this is where I say God forgive me. LOL!). All while, the Wendy staff began to setup the crowd control barricades, took names, handed out numbers. ... And as every luxury vehicle stopped, it led to heart thumping and chatter ... "It's Wendy" and instant disappointment, "Oh no, it's not!" And with every passing second, our fingers lay patiently to snap that Wendy entrance. Then a white SUV pulled up with the darkest-blackest tinted windows ever and bass thumping (and I mean THUMPING) despite the wound up windows. Then her body guards fell into action, outside the vehicle ... and yes, out came Wendy! Walking into her studio swiftly, greeting her fans, "Good morning!" In the hour leading up to the LIVE show, we were security screened, fed doughnuts and coffee and begged to fill out the Wendy Williams Show questionnaire for the ASK Wendy segment. Wendy's studio audience waiting room also had a photo booth and a cork board to pin photos. By then, the 2 young men ahead of me on the line, the one who kept teasing that he was ready to show Wendy his chest hairs, hence his open button-down shirt, and was later joined by 2 young ladies were whisked off to Wendy's VIP area. After getting a few rules, before entering the Wendy studio ... gum was being tossed from mouths, cameras were being shut off, cause we were threatened to be kicked out of the studio if any phones sounded. Then we were led into a music pumping and chilly studio, and introduced to the hype man for the Wendy Williams Show, Kevin Thompson. ... And the one day, I got tickets to the Wendy Williams show, the two young ladies who joined the two young men ahead of me on the line, happened to be the younger sisters of Kevin. Hence the reason, my early morning buddies skipped ahead to Wendy's VIP area. So with the awesome DJ and Kevin Thompson's ladies' man antics, the countdown to the live show was off to a great start. When 10am struck, the show was live, except the segment with Joel McHale which was previously recorded, so our studio audience watched it on the monitor. ... And the show kicked off again live again with guest, Amanda de Cadanet. 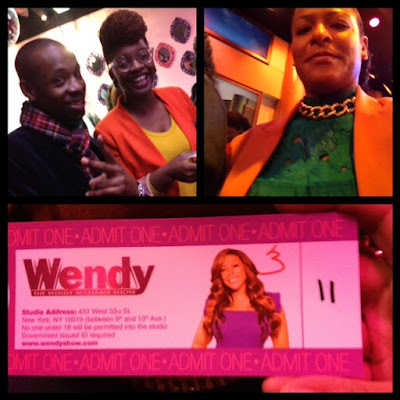 I will admit that neither guest had me swinging from my seat but hey, I was finally sitting in the audience of Wendy Williams Show. When the week started, and after much anxiety of finding an affordable hotel for one night and everything else ... I was thankful for such a warm NYC welcome from every soul, I had already met. ... And just to see Wendy Williams in person. OMG ... her skin is flawless, and she is so pretty in person, television truly does not do her justice. ... And no, she did not have on piles and pounds of makeup, as I recall of the ladies of The View, during a birthday trip in 2003. I went to see ladies of The View whom after every segment were being prepped by hair and makeup artists. Don't even talk about Star Jones. She was the haughtiest of the bunch, even when she was not the size, she is today! While Joy Behar walked among the audience during the commercials, Star would walk off set to her makeup artist and venture behind the scenes. Anyway back to Wendy ... Wendy often rants about her big girl days and of being a foodie instead I was struck by her slim, curvy stature, particularly for someone her height. Between segments, she just wore a comfortable smile. ... And came across as rather gracious. The only time she disappeared was for a few minutes was after she taped her live one hour show, for a wardrobe change. Necessary, since she had to record a segment which was aired on her May 10th show. Only thing which struck me, she has bodyguards. They can be seen dressed in black in the pictures below. 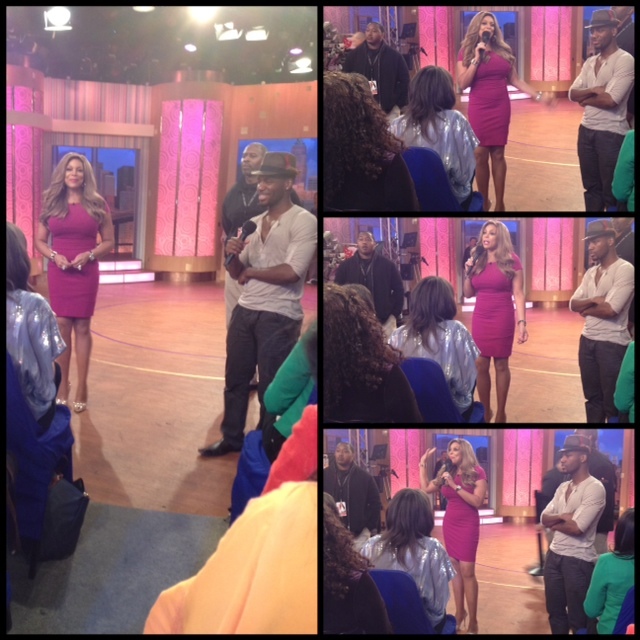 Did you know that even when she walks in the audience for the Ask Wendy segment, she has a body guard too? He's just not in the camera frame when she does that. He also assists her when she walks out of the audience, due to her towering heels and tall frame. Her main bodyguard was the one behind the Wendy Show, hype man, Kevin. If you are a fan of the Wendy Show like I am, you've probably had a familiar laugh on every show ... yep, it's Kevin, seen with the hat below. LOL! What made this experience tremendous, since Wendy is celebrating her 500th episode during the month of May ... every day she gives her fans a present. I walked away with a $150 gift card to Venus. Phshhh ... I'm just waiting on my package! LOL! ... And this post would not be complete without The Wendy Williams theme song!